Hey everyone! Before I get into today’s card I thought I would pass along that I am having a Black Friday sale over on my etsy store! The code Black30 will get you 30% off all the cards listed there till Monday night! 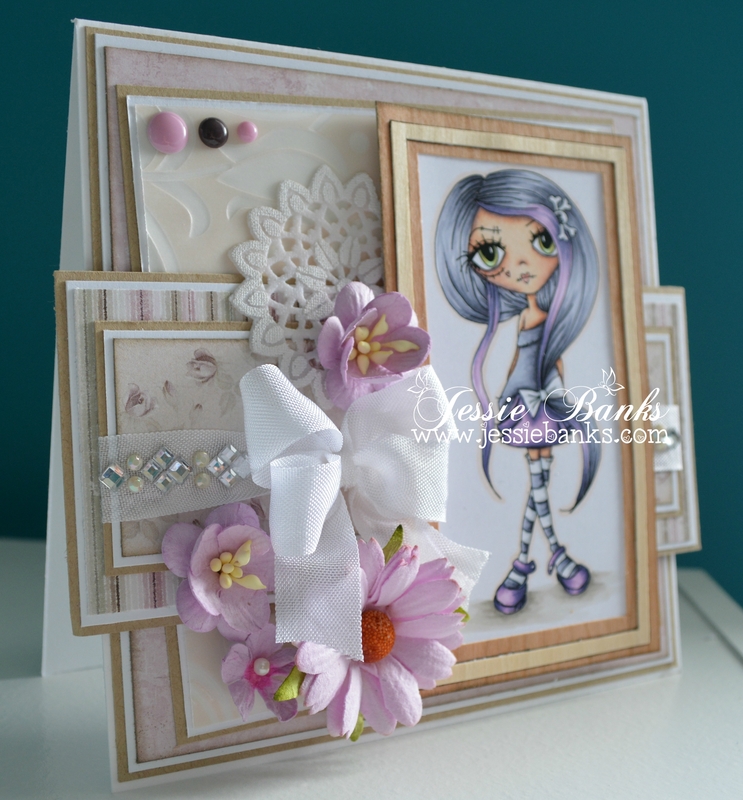 Onto today card! I am using a Wee Stamps image called Rudolph you can pick it up in rubber here or in Digital form here! I coloured him up with copic markers, again I do not have the colours I used on him. I really do have to get better at that! He is such a darling little guy! 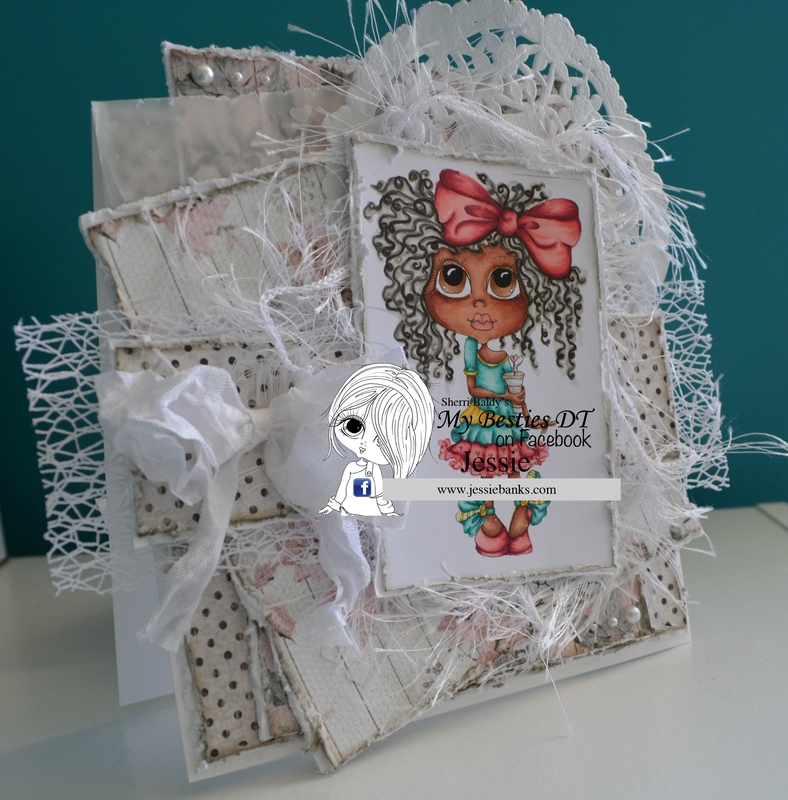 I used up a little bit more of some Maja Design paper that has been in my stash for a while now, a little string and a button to finish off this card! Hey everyone! 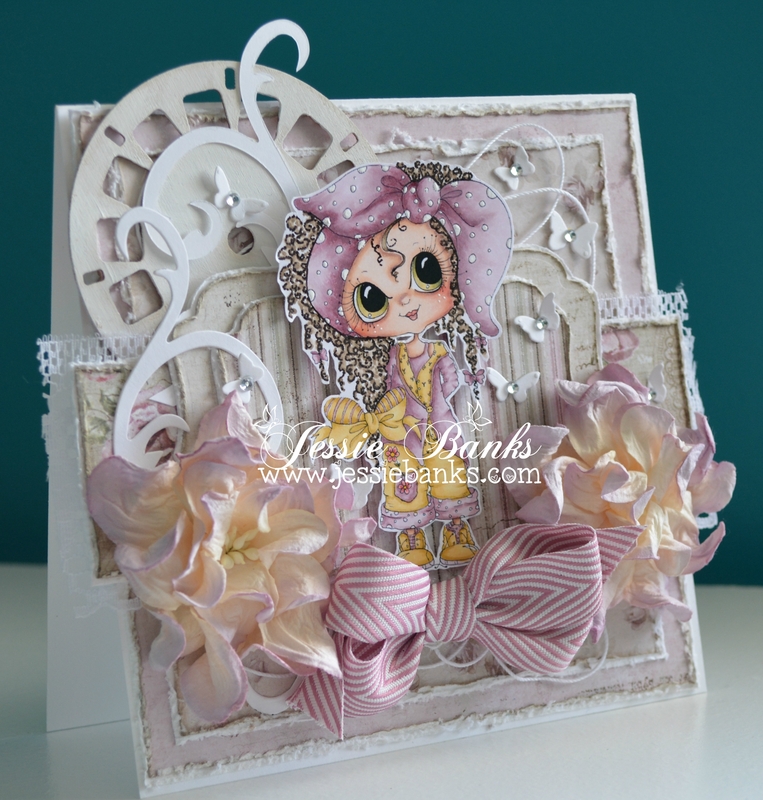 Today I have a soft card featuring Magnolia’s Cute Sakura Tilda. I coloured her up with my copic markers, using the no lines technique. Unfortunately I have already gotten rid of the book that had the colours used on this image (that was silly of me). so I do not have all the colours written out for you. I have been on the use up my paper kit, but this is one of the few new pads I have picked up recently. This is the Maja Summer Time papers. A wood piece from Scrapeniec, flowers from Wild Orchid Crafts, and a Spellbinders die cut with the leaves and the dandelion ish die cut at the top. A couple of doilies finished off this card! 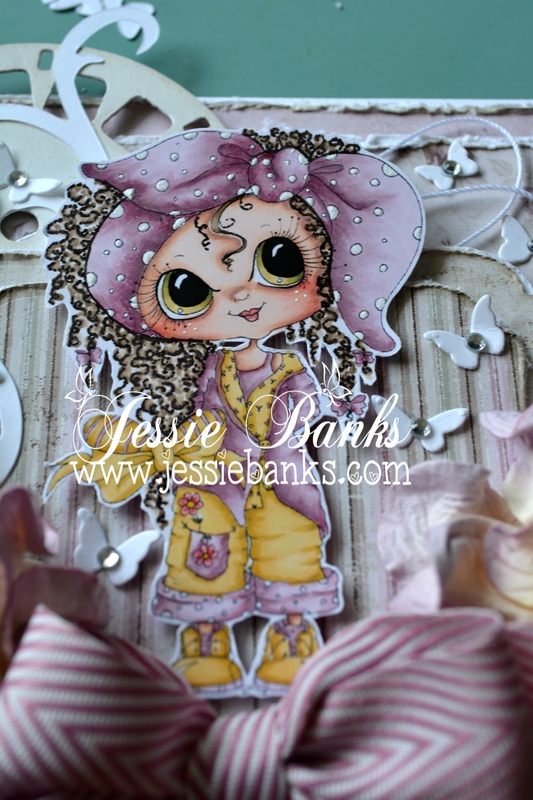 This card will be available on my etsy site! Wahoo!! 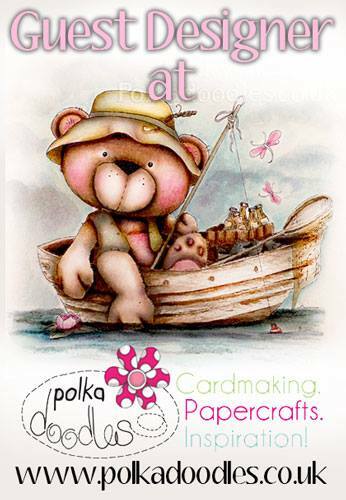 I am absolutely thrilled and amazed that Nikky Hall asked me to do a guest spot for Polkadoodles. Her images and digi papers and oh just everything are so awesome and fit wonderfully in my ever growing stash. Here is my card for the Frame it! Challenge over at the Polkadoodles Challenge blog. 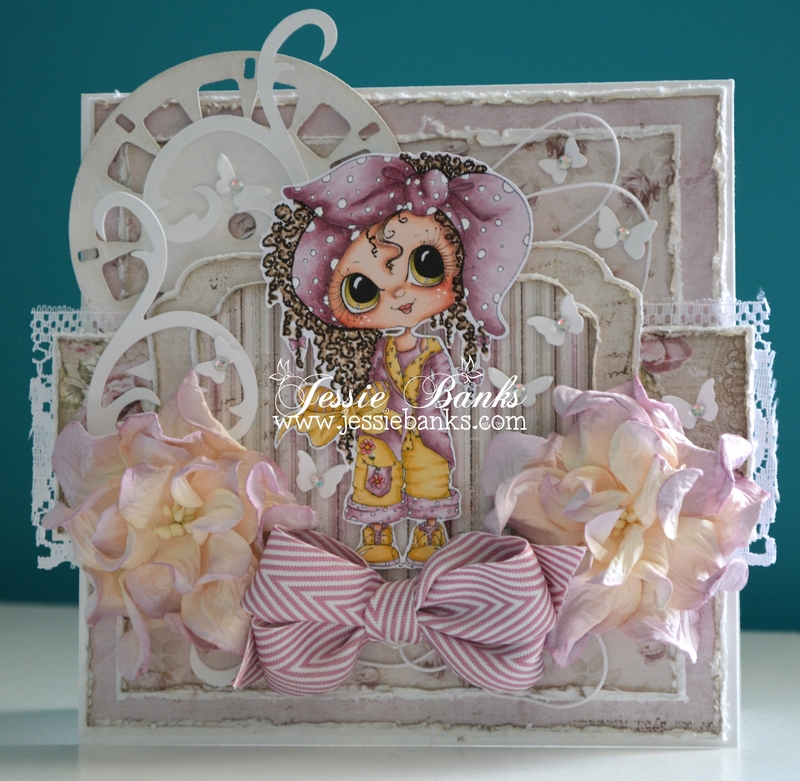 I chose to use Oddella Bow for my card. I coloured her up with my Copic markers. 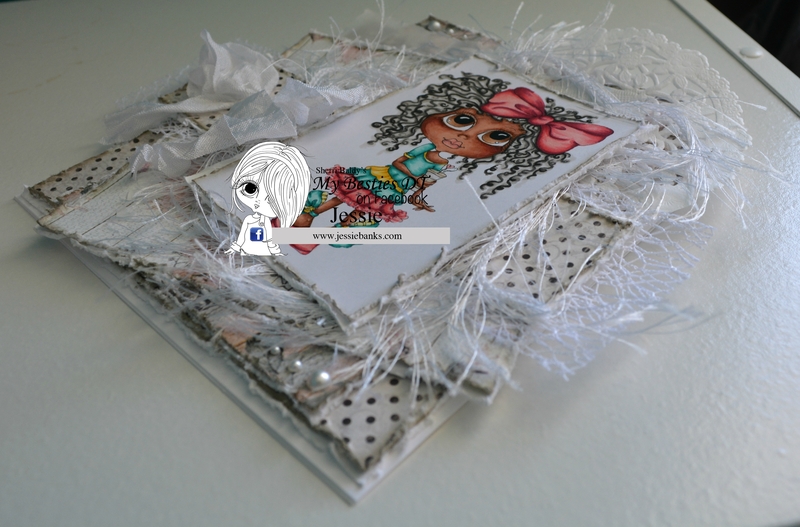 The frame around my image was made using Cherry veneer paper and Birch veneer paper. a few simple patterned paper layers, some seam binding, a doily I cut out of place mat thing I got from a garage sale for 5 cents, and some Wild Orchid Crafts flowers finish off the front of this card. 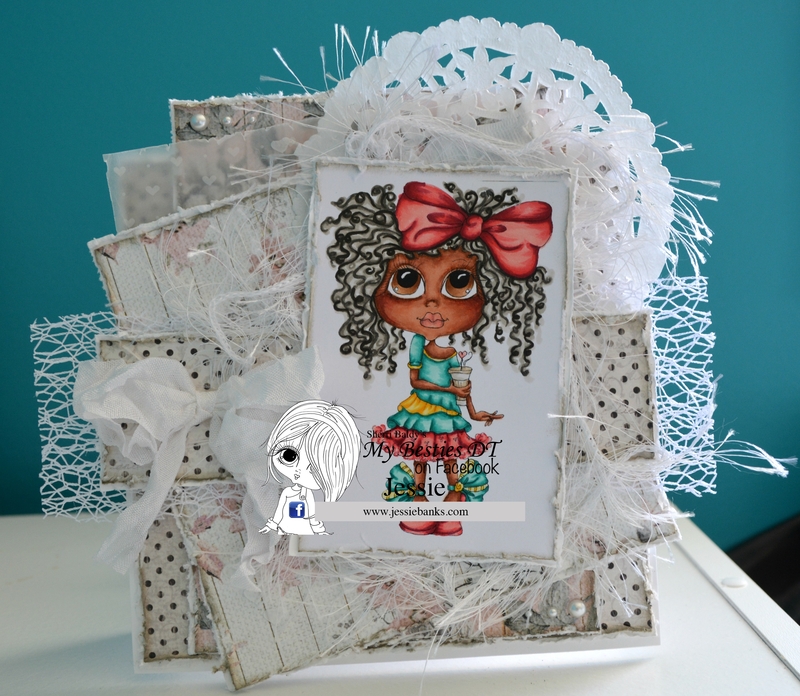 I would like to thank Nikky for the wonderful opportunity to contribute to her challenge blog and look forward to working with her more in the future! Hey everyone! Today I have your you a lovely purple card. 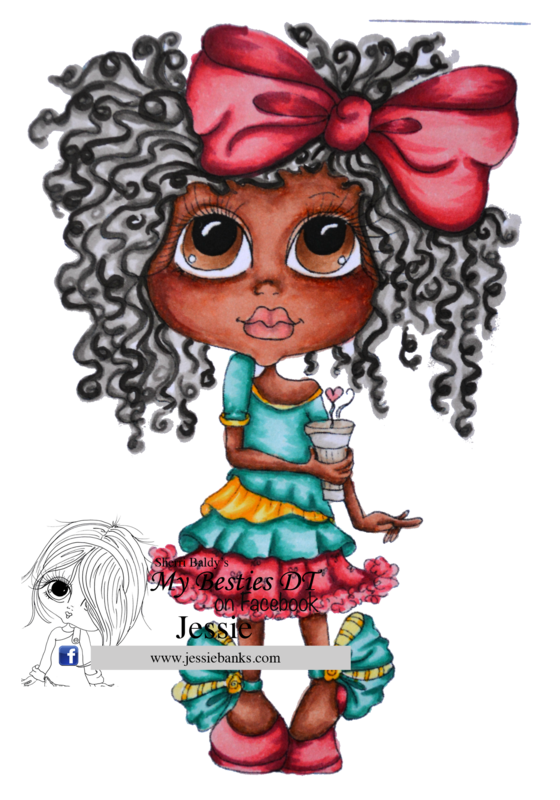 This image is Sherri Baldy My Besties Scan0005. 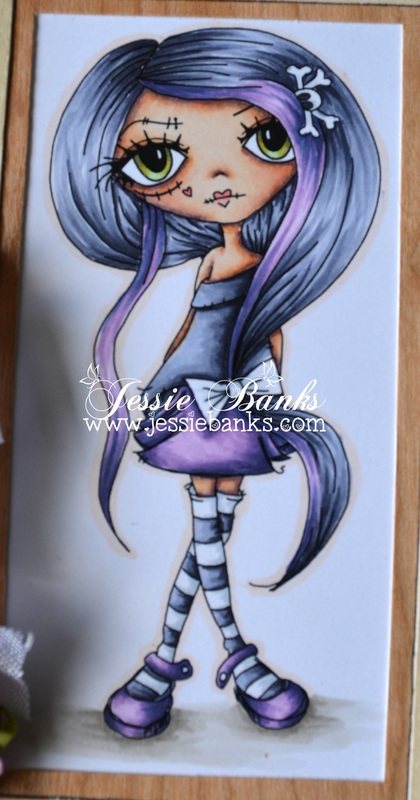 I had coloured this image up with my copic markers when she was released and she is finally making it onto a card. 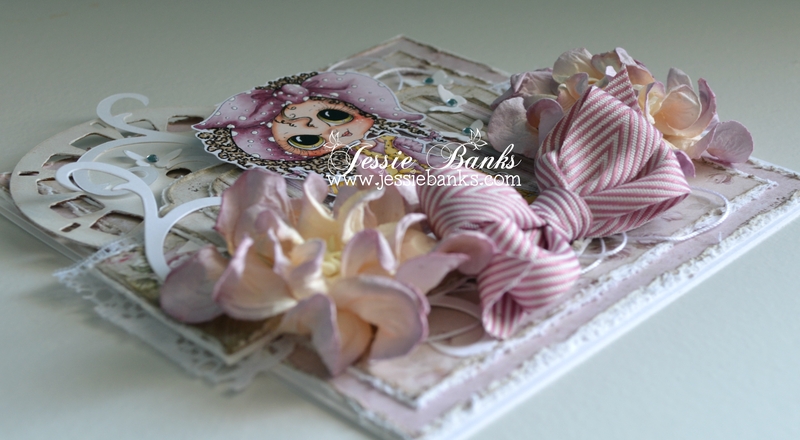 I loved making this card, layers of patterned paper, wood veneer, die cuts, flowers, and ribbon finish off the front of this card. 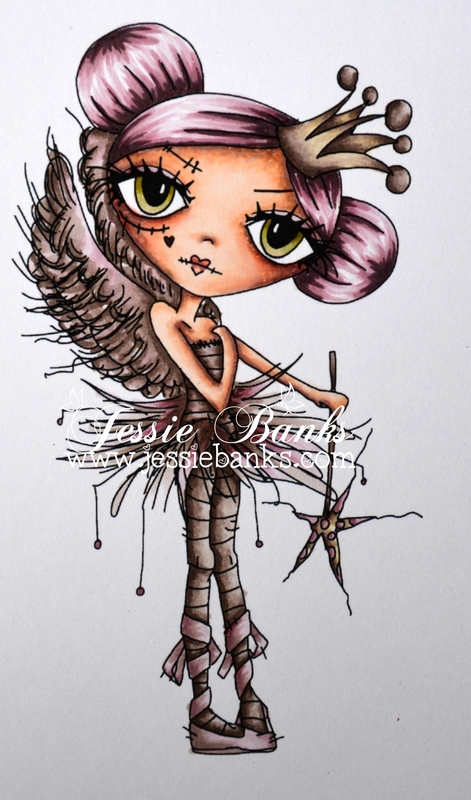 Hey everyone, here is my first card I made for Sherri Baldy’s My Besties New release. This is a new Brittany Bestie. I coloured her up with my copic markers. 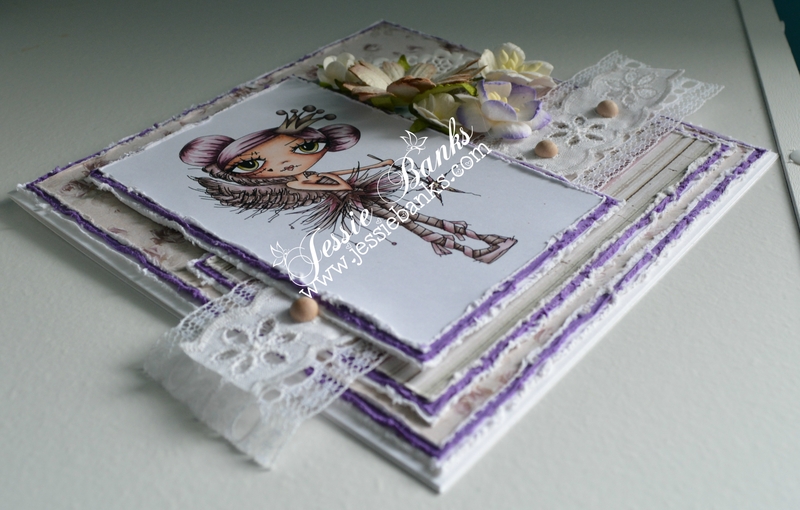 Patterned paper, lace, trims and a doily finish off the front of this card.